Mercy Vineyards represents a pursuit to showcase the innate spirit of Monterey County's Arroyo Seco AVA as one of the preeminent locales for the cultivation of world-class Burgundian varietals, Pinot Noir and Chardonnay. 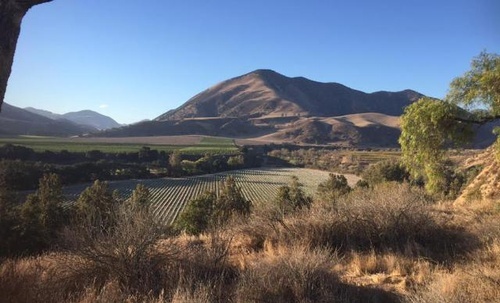 Established by vintner Mark Dirickson and Mike Kohne, the wines are sourced from three contiguous vineyards, all located in a specific part of the appellation - The Ancient River Channel. Found along the banks of a now seasonal creek, this unique riverbed corridor features ideal maritime climate with rocky, meager surface soil and hardpan just feet below ground. Low yields, unique soil attributes and meticulous farming combine to produce flavorful and distinct grapes. Grown in such a dramatic setting, the wines truly are at the Mercy of Mother Nature. We invite you to Have Mercy! Come taste and learn about our wines in Monterey County's beautiful Carmel Valley. Siign-up for our Mailing List! By joining the Mercy Vineyards Wine Club you will receive a package four times a year.